I don’t know if it’s a good thing or a bad thing that I know all of the precise style and print names for so many seasons. They just roll right off the tongue. Even my children know the print names. At a baby shower for a dear friend, one of the games was “How Preppy are You?” One of the questions asked what the mom-to-be’s favorite Lilly print was. Both her daughter and my twins quickly and correctly answered! One of my favorites from Resort is the Dirty Shirley print. Do you know what a Dirty Shirley is? It's a Shirley Temple with vodka! There is so much creativity and inspiration in every print. To be honest, I never put much thought into the design process, but when I had the marvelous opportunity to meet some of the print designers at the Pink Palace, I was so impressed with their work. Everything is meticulously drawn, painted, and/or colored by hand. All of the original prints are designed by a small number of extremely talented people! It’s so amazing. Each print has its own unique story and no print has ever been repeated in more than 50 years! 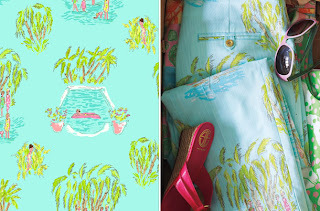 Two of my favorite print stories relate to the Day at the Races collection that reflects the exciting events surrounding the Kentucky Derby and In the Slim, a print from the current resort line. 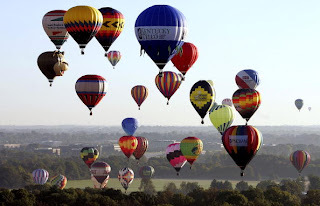 The Day at the Races collection includes such print names as Balloon Race, Derby Days, Run for the Roses, and Millionaires Row. You can celebrate the Kentucky Derby even if you aren’t at Churchill Downs wearing your Lilly prints at your own party. I especially love the balloon embroidery from this collection and have the Brittany skirt in this embriodery. I miss the large Lilly embroideries and hope that they will bring them back at some point. 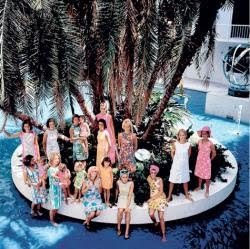 In the Slim is an interpretation of a famous photograph taken by Slim Aarons in 1964 featuring the Vanderbilt, Rockefeller, and Whitney families in Palm Beach. This is currently my screen saver right now! I love all of the originals prints, but this is one of my favorites. It is a true collection piece. Remember that you still have time this week to enter my Preppy Plate giveaway. 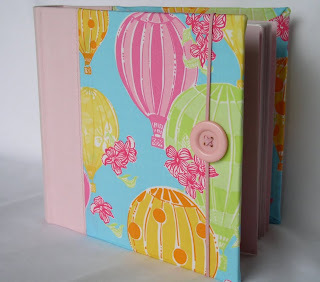 I'm also thrilled that I almost have such lovely followers and can't wait to share my next giveaway with you. Thanks for reading and have a wonderful start to your week. I am obsessed with the print names & the dress names. Last year they had dresses under both of the twincesses names & of course I had to have both. Perfect Preppy Pink Post. THANK YOU! 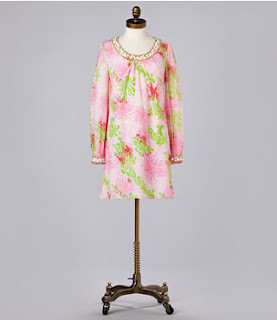 I PUFFY HEART that dress... saw it at the Lilly store the other day. I just wish it wasn't -17 degrees in CT... I'd have bought it on the spot! I love all of the print names, so creative! In the Slim is my screensaver too!! I have Lilly as my Droid wallpaper... Bet you could tell me what the print is in the blink of an eye! Boy do I wish I had the same creative gene as the print designers! I also love how every time I look at a piece of my Lilly, I notice something new in the design.